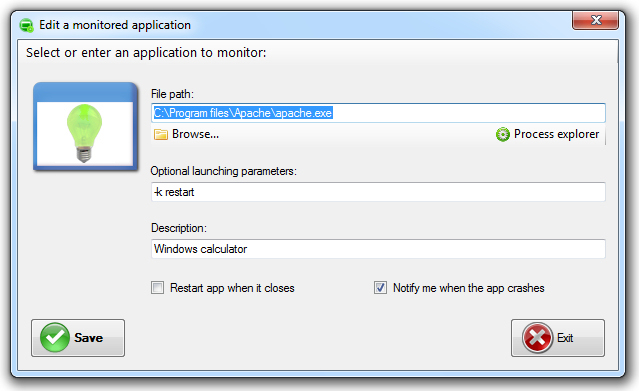 ﻿ Kiwi Application Restarter - Keep your applications running for free! 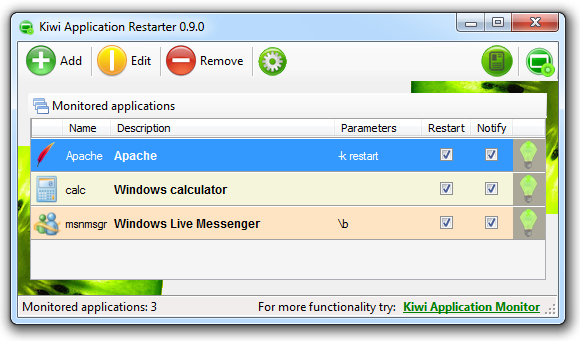 Kiwi Application Restarter is a small utility that keeps your applications running. It is simple to use and resides in the notification area of your Windows. It can be set to start with the operating system and do its work in the background. 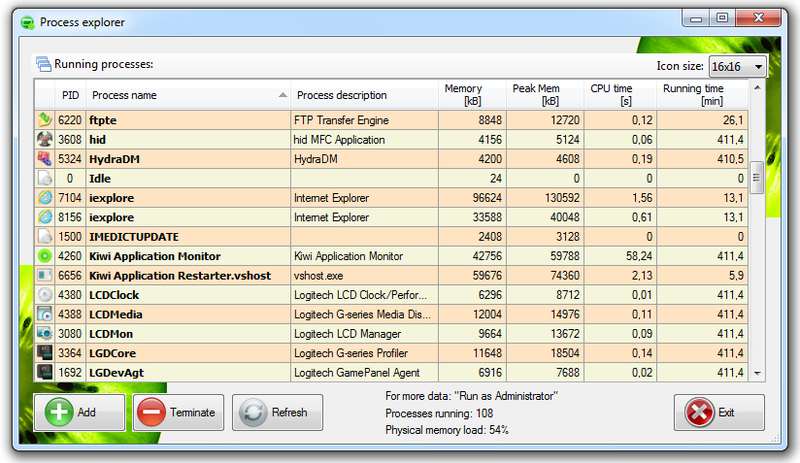 There is a process monitor integrated that helps you choose the applications you wish to monitor and close them if need be.